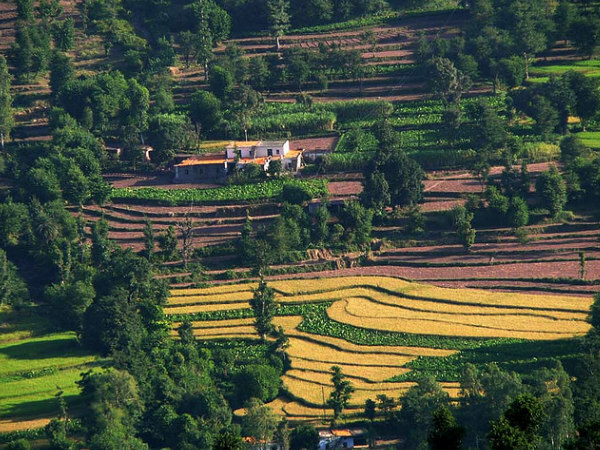 Kasauli is a popular hill station located in the district of Solan in the sate of Himachal Pradesh. Situated at an elevation of around 1800 mt above sea level, this place finds mention in one of the great Indian epics, the Ramayana. The destination received its name from a mountain stream flowing between Jabli and Kasauli known as Kausalya. Situated amidst nature, the town is also known for attractions that include the Christ Church, Monkey Point, Kasauli Brewery, Baba Balak Nath Temple, and the Gurkha Fort. Click Here for the Best Hotel Deals in Kasauli. Dagshai which is located in the Shivalik foothills at an elevation of 1828.8 mt above sea level, is one of the oldest British cantonments in India. Beautiful schools dating back to 1876 are located here. The place also has historical importance as several battles were fought here. It was under the rule of the Maharaja of Patiala before it was passed on to the British for the establishment of military stations. One of the prominent tourist attractions here is the Roman Catholic Church along with a graveyard of British soldiers who lived in the cantonment area. Monkey Point which is situated at a distance of about 4 km from the town bus stand is the highest peak of Kasauli. The place offers a perfect view of the Sutlej River, Chandigarh and the snow capped Choor Chandni Peak, the tallest peak of the Lower Himalayan region. A temple situated on the peak, dedicated to the Hindu monkey-god, Hanuman, attracts visitors to the place. The place is named so after the presiding deity of this temple. The temple is said to enshrine the foot prints of the deity. The entire area of Monkey Point is under the control of the Indian Air Force and tourists have to seek permission from authorities in order to visit this place. The Baba Balak Nath Temple is a cave temple located 3 km away from Kasauli on top of Graner Hill. It is one of the most popular religious centres situated in the town. It is dedicated to Baba Balak Nath, who was a great devotee of the Hindu deity Shiva. It is believed that childless couples who offer their prayers in this temple have their wishes of bearing children granted. The temple consists of several statues of Shiva along with a picture of a blessed child, which is the highlight of the temple. The Hindu festival of Navratri is celebrated in this temple with gaiety and enthusiasm. Christ Church is one of the popular religious centres in the town, located on Mall Road. Representing Gothic architectural style, this ancient church was constructed in 1884. The church which is devoted to St. Francis and St. Barnabas is a major tourist attraction of the hill town. This church is in shape of a cross and has a clock tower and a sundial, a device that tells the time of the day. Moreover, a cemetery having old graves dating back to 1850s is present in the vicinity. A beautiful sculpture of Jesus Christ held by Joseph and Mary is an attraction of the church. Gurkha Fort rests at an altitude of 1437 mt above sea level in the town of Subathu, which is popular as the cantonment town. Built by the Gurkha regiment in the 19th century, the fort holds 180 year old cannons that were used in battles. The region came under British rule after the Gurkhas were defeated in a war. Travellers coming here can explore the fort and also enjoy the scenic view that it has to offer. By Air: Chandigarh Airport situated 59 km from Kasauli is the nearest air base to the destination. This airport is well connected with other Indian cities like New Delhi, Kolkata, Mumbai, and Srinagar. By Train: The closest railhead to Kasauli is the Kalka Railway Station, which is located at a distance of around 40 km. The railway station at Kalka is well connected with major places in the country like New Delhi, Kolkata, Amritsar, and Mumbai. By Road: Regular state owned buses ply from different cities of Himachal Pradesh for Kasauli. Travellers can avail deluxe and super deluxe buses from Chandigarh and Delhi for Kasauli. So when are you heading to Kasauli?